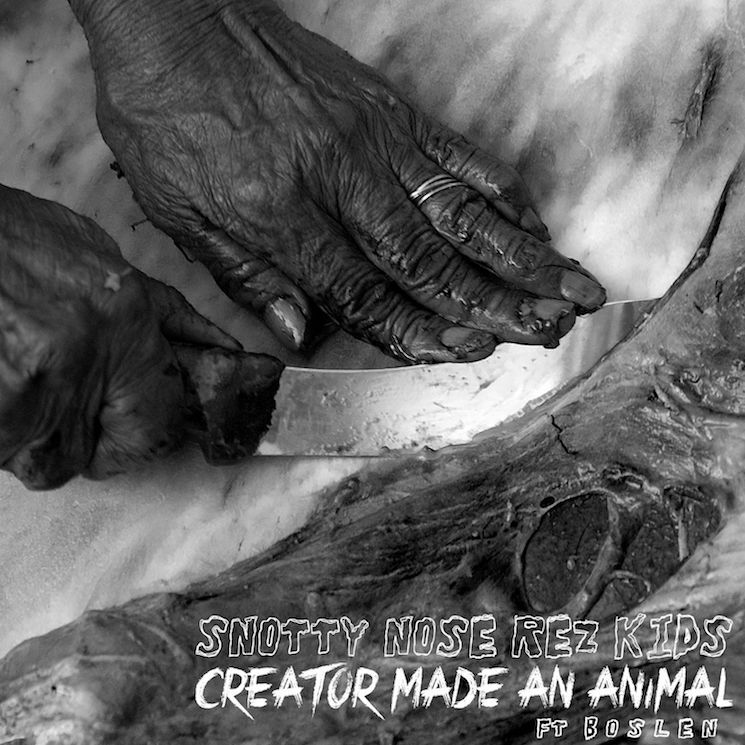 Snotty Nose Rez Kids recently announced plans for their third album Trapline, and now they've shared an impressive new video for single "Creator Made an Animal." The song is a club-ready banger, though its video sees the Kids (and their guest — Chilliwack rapper Boslen) kick it surrounded by nature instead. Directed by Jerome Hof in stark black-and-white, it's the perfect backdrop for this hard-hitting song. "Creator Made an Animal" is our way of paying homage to the place that we call home as our spirits awaken and our people rise up. "Creator Made an Animal" carries an aggressive and assertive energy that imitates the way society portrays Indigenous people and People of Colour across Turtle Island. Our ancestors were stereotyped as savages, and we are often regarded as the pissed-off generation who haven't gotten over what colonization has done to our lands and to our people. Through stylish delivery, we proclaim ourselves as the Father 7th Generation and let the world know that we aren't changing for anyone. The future is ours. We are powerful as human beings and it's integral that we respect the knowledge that was passed down from our ancestors. Many of us also carry their pain, but every single one of us carry their power. Embrace that power, stay true to that power and to yourself! Watch the video for "Creator Made an Animal" below. Trapline will arrive on May 10, and you can also find the group's upcoming tour dates below.